Congratulations to organizer Canon Huang and his team for producing a very fine 2018 World Championship Event. 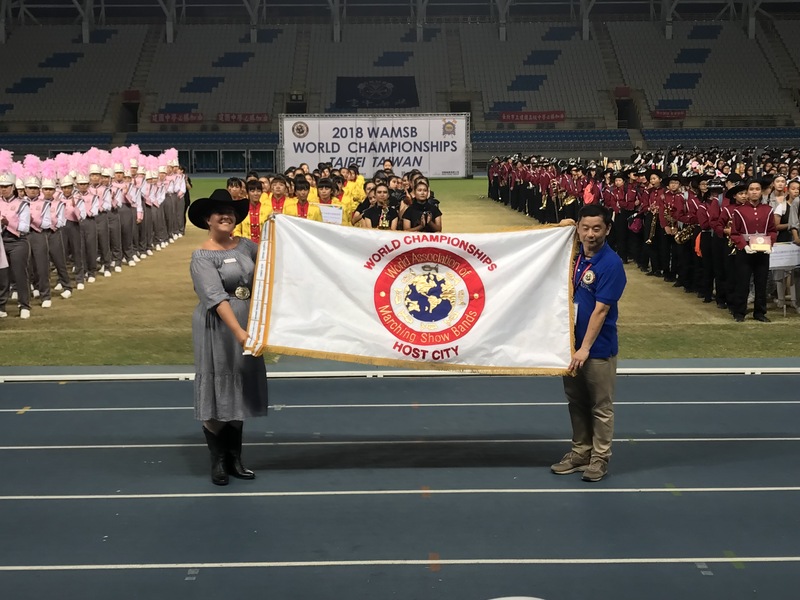 The WAMSB Host City flag was passed to next year’s host city of Calgary, Alberta in a ceremony at the final event in Taipei, Taiwan. Thank you Taipei, and we look forward to welcoming many bands to Calgary, Canada in 2019. Mr. Huang passes the official host city flag to Ms. Alexandra Burdeyney, representing the host committee from Calgary, Alberta, Canada.